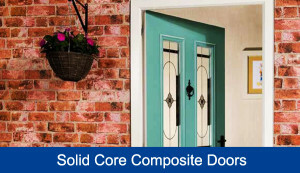 Our composite doors offer the appearance of traditional front doors combined with the thermal performance and security levels of modern technology. Offering up to six times the insulation of a timber door, our composite door combines the look of timber with superb thermal performance making it the ultimate modern solution. Sadly a property is burgled in the UK every minute, but our solid timber core gives you the strongest and most secure option available in a residential door.